The new trend that seems to be a favorite among all generations is the ‘no makeup’ makeup look. It’s a simple technique to use neutral palettes and natural shades to highlight your features. So, if you love applying eye makeup but don’t want to overdo it for the day, there are some simple tips you can follow to make your eye makeup look stunning yet natural. 1. Cool down with ice: Your eyes may be puffy if you haven’t slept well at night and that’s going to affect the makeup you wear. Swollen eyelids will require heavy makeup to conceal them and that means you can wave your natural-eye-makeup look goodbye. Instead bring down the puffiness by applying ice on your eyelids and below the eyes as soon as you wake up every morning. Once your eyes have cooled down begin with your makeup routine and you will instantly be able to see the difference. 2. Prep with primer: One of the best tactics to get your makeup to stay longer and blend in seamlessly is to layer primer on your eyelids. Spread it all over and make sure you cover even the inner corners of the eyelid and the area below the lower lash line as well. Once you have created the base with primer, apply concealer and lightly blend it in by using your ring finger. Specifically apply concealer on your entire eyelid and not just on the bags under your eyes. 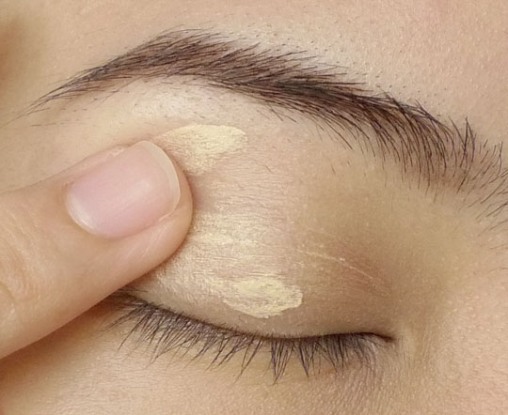 Also, remember to apply concealer on the inner and outer corners of the lid as well. This will cover up the uneven tone and any dark circles around the eyes making you look more awake and dazzling. 3. Say it with white: White eyeliner is an excellent tool to open up your eyes and make them appear brighter and bigger. Apply a delicate stroke of white on your waterline and concentrate on the inner corner. Smudge it on the inner corner and dab a little bit of ivory cream shadow on the inner crease. The color will make your eyes pop and help you achieve the perfect ‘come hither’ look. 4. Vaseline: Opt out of the heavy cream and powder based shadows and choose Vaseline for a pretty shine on your peepers for a natural day look. Just dab on some Vaseline with your fingertips and blend it all along the eyelid. You can even mix a little bit of an ivory shimmer powder with the Vaseline to get a shimmery, natural eye shadow. 5. 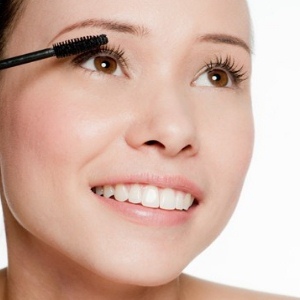 Brown mascara: Mascara works wonderfully well to give a more voluminous look to the lashes. But if you want to achieve the same look of strong and long lashes without looking like you have applied makeup, pick up mascara in brown. 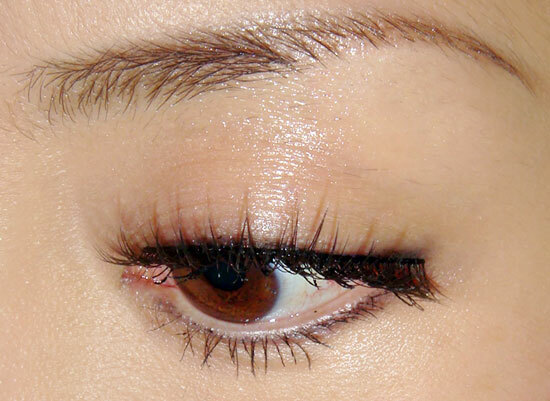 It will lengthen the eyelashes and make them look thicker without looking darker than their natural color.